Psoriasis is an immune-mediated skin condition affecting more than 3 million Americans each year. The condition is caused by an over-production of skin cells, which results in thick, scaly patches on the skin. 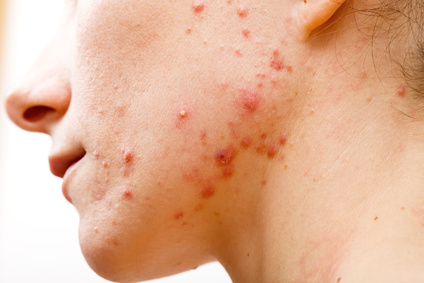 Initially, symptoms appear as a skin rash, with the build-up of cells turning into thick, itchy patches over time that appear red, silvery or white. 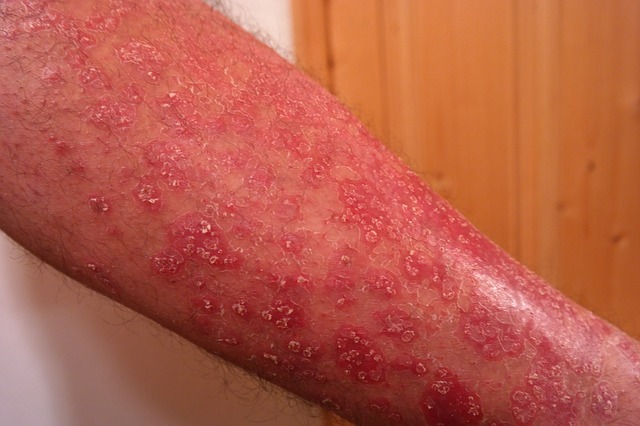 Psoriasis is not contagious and tends to run in families. Triggers include stress, infections and extreme weather conditions. The condition mostly affects adults and symptoms vary depending on which type of psoriasis you have. Psoriasis can also involve other organs and it is estimated that between 10 and 30% of patients are also affected by arthritic psoriasis, which results in swelling and pain of the joints. What natural treatments for psoriasis are available? Psoriasis treatments are aimed at slowing down the growing of skin cells and to help the removal of scales on top of the skin. Psoriasis is an uncomfortable, frustrating condition to have and even after successful treatment, symptoms can flare up. Topical treatments for psoriasis are aimed at lowering inflammation (tea tree oil, geranium oil, retinol (vitamin A), vitamin C and D and contain ingredients that help to shed the skin (e.g. salicylic acid).